October has been an interesting month. For one, I’ve noticed the temperatures drop a considerable amount, and waking up to a pitch black sky, driving under moonlight, hasn’t been welcomed with open arms. I’ve also done a few ‘big’ things such as pay off my car finance and book a Wintery trip to Bruges, so it’s safe to say I’m fairly broke. Anyway, on a more positive note, there have been a few lovely things I’ve discovered and come across in October that fit in perfectly with all my upcoming gift guides. From some fantastic party dresses, to the most gorgeous beauty buys, I have a few recommendations to share. I finally, finallllly have the excuse to wear shiny party dresses after wearing Summer colours and light fabrics for the past few months. I love Winter fashion, and even more so, party season fashion, and I’ve been itching to get my hands on my first few metallic dresses of 2016. The one I’m wearing above and below is actually from my own dress boutique, my What Emma Did Boutique over at ASOS Marketplace. It’s a super shimmery gold metallic one sleeve dress, retailing at just £21, and I LOVE it. Hopefully it will be coming to a few fun evening events with me over the next two months! For those who read the blog regularly, you’ll know I suffer from breakouts and occasional acne. It drives me nuts, and as much as I go through good phases due to using professional products and adopting a sensible cleansing regime, sometimes it just goes bonkers on me. When the Summer to Winter transition kicks in, that’s when I usually feel it the most. This year, I’m looking at keeping my skin in check with some regular, professional acne treatments, such as the treatments offered at NURISS Skincare and Wellness Centre. I’ve been thinking about investing in a little bit of laser treatment to clear up any old acne marks, and to fight any bacteria still lurking around causing sudden breakouts. I’ll keep you posted! The first set is a selection of products from the gorgeous beauty and tanning brand, Vita Liberata. I am a self-confessed lover of the Body Blur Instant HD Skin Finish, which covers imperfections, smoothes skin appearance, gives a natural-looking tan that washes off and hydrates the skin for an incredible HD-ready finish. I love using it before any evening out, but I have to say I haven’t had the chance to explore the other items in the range. This selection above are some cult classics from Vita Liberata, perfect for the girl who loves to tan as well as making sure her body is in tip top condition. They include the Self Tanning Gradual Lotion, Self Tanning Anti-Aging Serum, and the Tanning Mousse. All packaged up all classy, sophisticated and smart. LOVE. 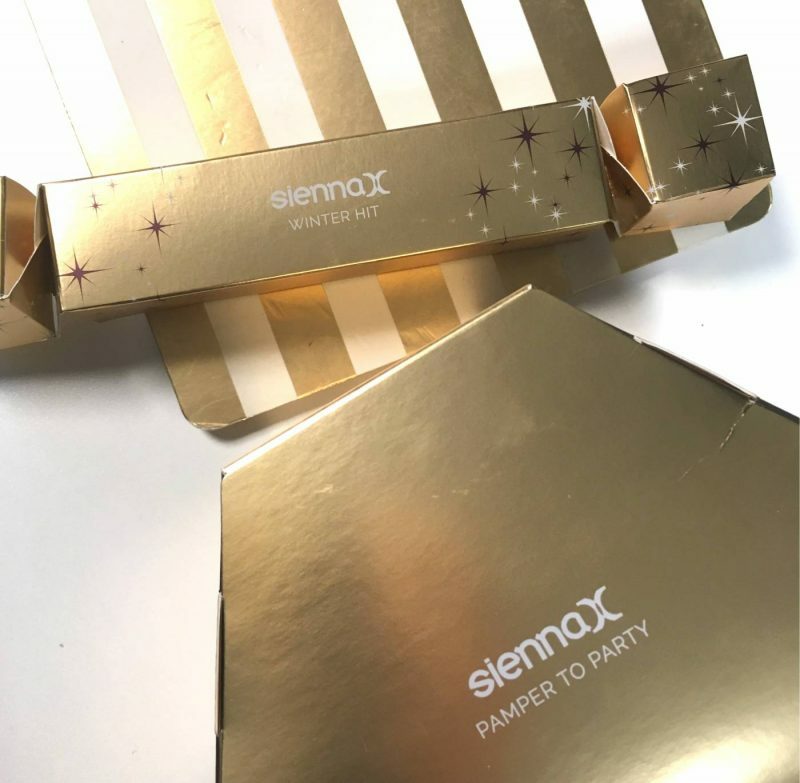 The other beauty gift I have selected as a great up-coming Christmas gift is this fantastic Sienna X Pamper to Party Set, and a cheeky little gold packaged Christmas Cracker which contains a special little product! Firstly, the Pamper to Party Set (£16.99) is a fantastic idea again for the girl who loves to tan. You’re probably wondering why I’m focusing so much on tanning gifts, but this is the time of year when we are all realising just how pale and pasty we’re becoming, and a luxury set of professional tanning products actually go down a treat more in Winter than in Summer (especially the instant tans!). – Polishing Body Scrub 75ml: A creamy lightweight lemongrass and ginger scrub with shea butter and cocoa butter. – Radiance Body Balm 75ml: A perfectly balanced moisturising butter cream, containing luxurious natural ingredients to help prolong and enhance a sunless tan. – Deep Self Tan Lotion 75ml: If you’re looking for a deep but natural-looking holiday glow, then you’ll love our Deep Self Tan Lotion. – Luxury Tanning Mitt: Designed for extra comfort, the mitt’s super soft velvet surface makes for seamless application of our tanning products. 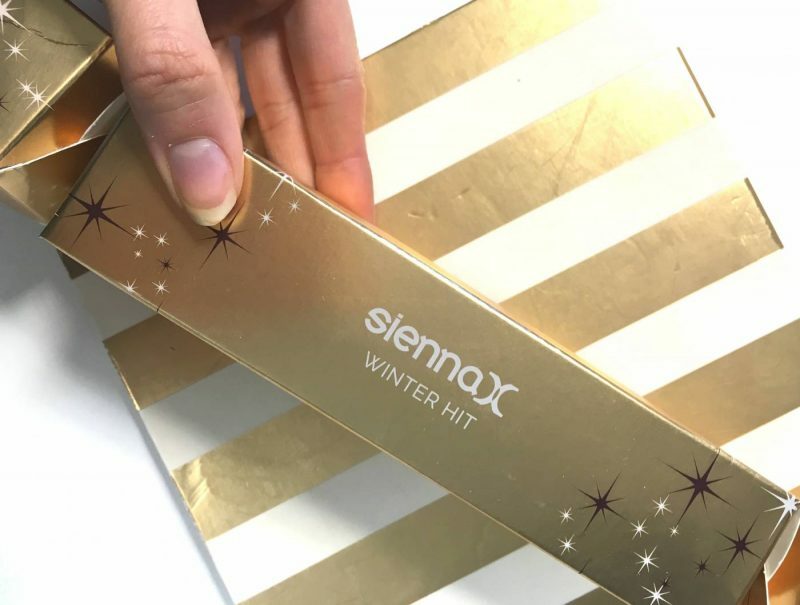 Sienna X also have this fantastic Winter Hit Cracker Gift – the best stocking filler for your sister, BFF or secret santa. 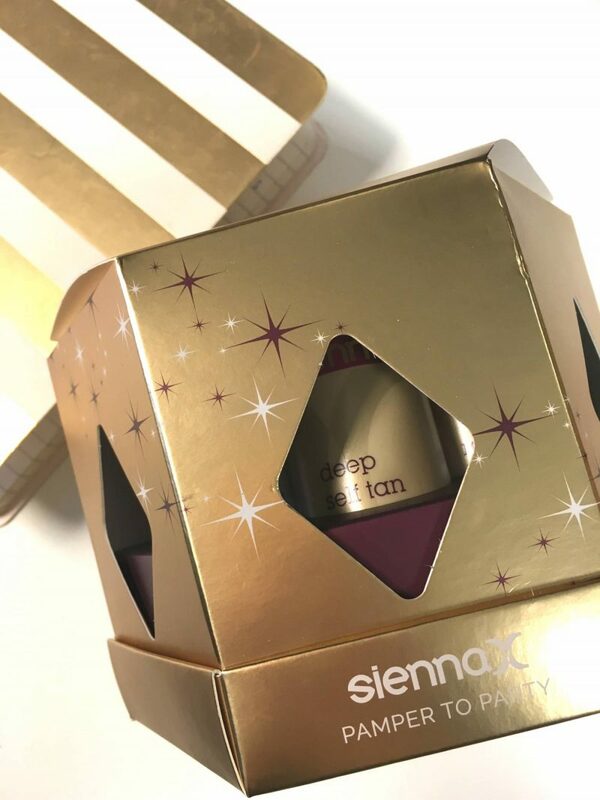 Packed with a surprise product (Sienna X’s most talked about new express self tan), this cracked retails at £7 and includes a pair of Latex Free Gloves for application too. 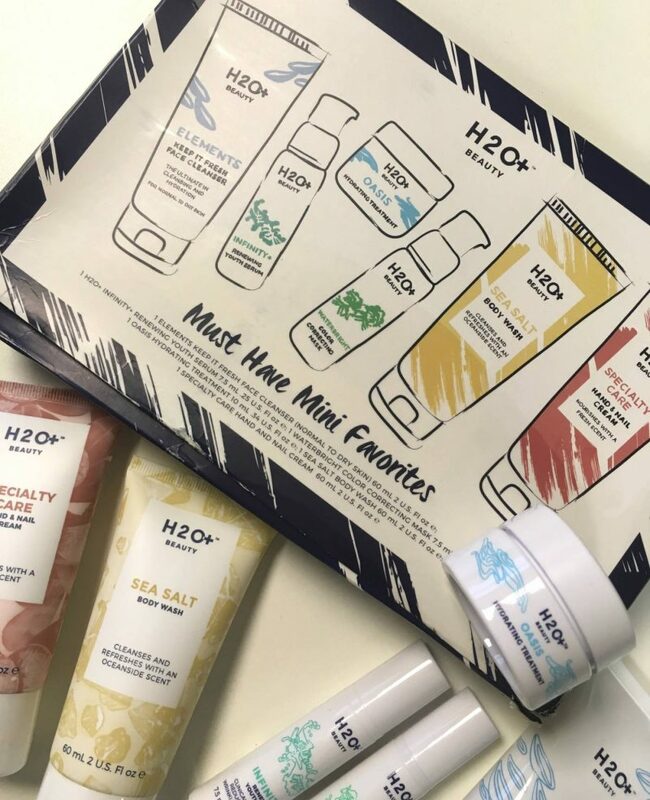 This brand in huge news in the US, which is why I’m linking out to SkinStore.com as one of the retailers. 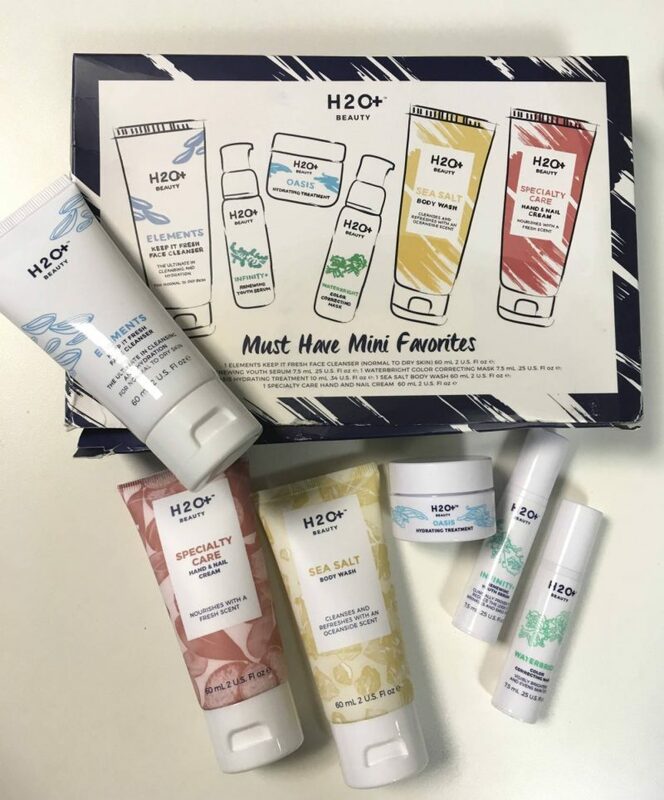 For the lady who really cares about her skin and wants to update her skincare regime, this gift set is one of my ultimate favourites. Don’t forget to keep checking back for more gift ideas!